Client Focus: Local, regional and national financial technology companies (Fintech), ranging from early stage to growth stage and beyond. Experience: Chris has over 15 years of banking and finance experience with technology companies, specifically financial and healthcare technologies. 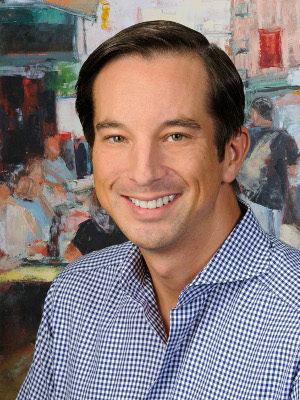 During his time at Silicon Valley Bank, Chris led the bank’s Asset Based Lending efforts for the southeast and more recently Chris has served in a variety of finance and corporate strategy roles for early and growth stage companies. Given his experience on both sides of the table, Chris has a unique perspective and skill set where he will focus exclusively on companies in the financial technology space. Affiliations: MIT Enterprise Forum of Atlanta. Since 2008, Chris has held various leadership positions, including Chairman, on the Executive Committee and Advisory Board. $20MM Asset-based Line of Credit for a fast-growing banking rewards/consumer loyalty company in Atlanta. $10MM Term Loan for a multi-family revenue optimization company to purchase its licensed Intellectual Property. $3MM Recurring Revenue Line of Credit to a SaaS company that subsequently realized a successful exit through acquisition. Led a $10MM of Series C financing to a growth stage healthcare technology company in Atlanta, followed by $10MM in Mezzanine financing and a $7.5MM Senior Line of Credit.